We take a look (and smell!) 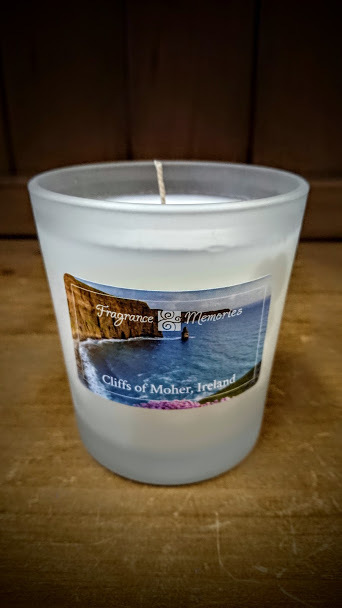 at a delightful candle from Fragrance and Memories that will take your senses to a sun drenched day in Ireland by the sea. 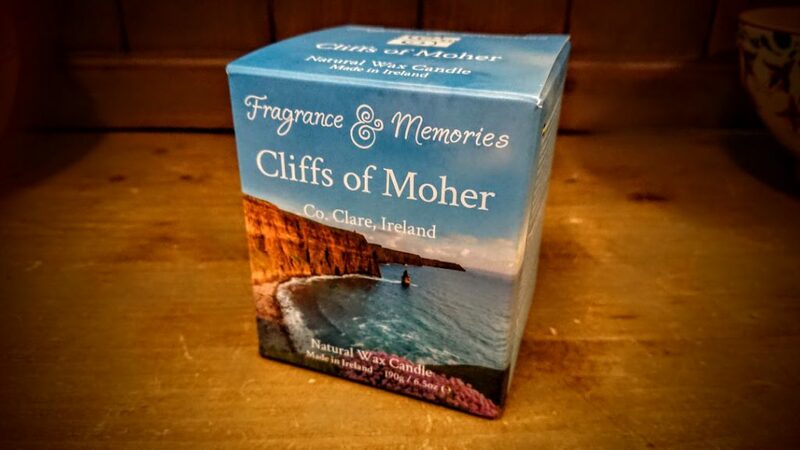 Its fragrance and essential oils are carefully selected to stimulate your imagination and make you feel you are sitting on the Cliffs of Moher in beautiful County Clare. 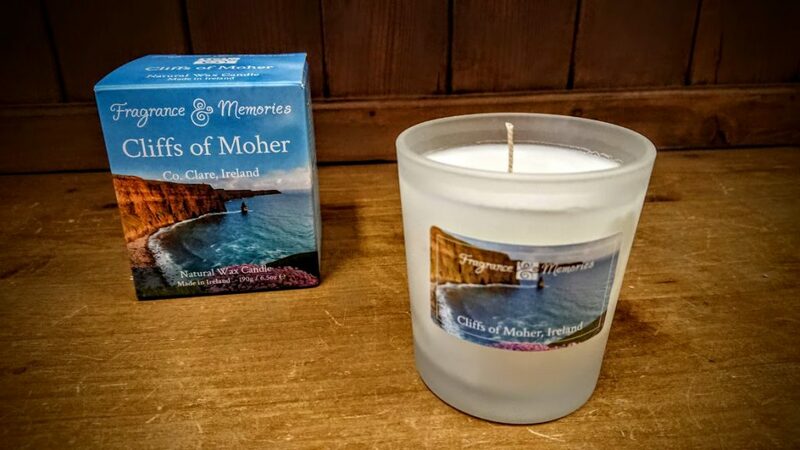 This candle comes in a lovely box with pictures of the Cliffs of Moher on the outside. 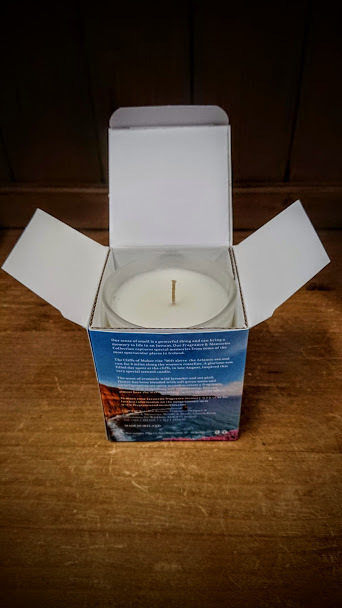 This candle was inspired by this area of outstanding natural beauty and reflects the local scents of flowers and the sea from this unique and magical place. Opening the box you are instantly aware of the relaxing fragrance. The Cliffs of Moher are 700ft high and stretch for over 8 miles with wild lavender and sea pink flowers. These scents and essential oils are combined with a sea spray essence that transports you to a sunny day in August in Ireland. This is a refreshing, floral and very zesty fragrance which would be a great candle to bring the feeling of a Celtic summer to your house all year round. This 6.5oz wax scented candle will burn for 45 to 50 hours and is made in Ireland with natural wax and products. We also love the frosted glass container it comes in that you can reuse long after the candle has been used.